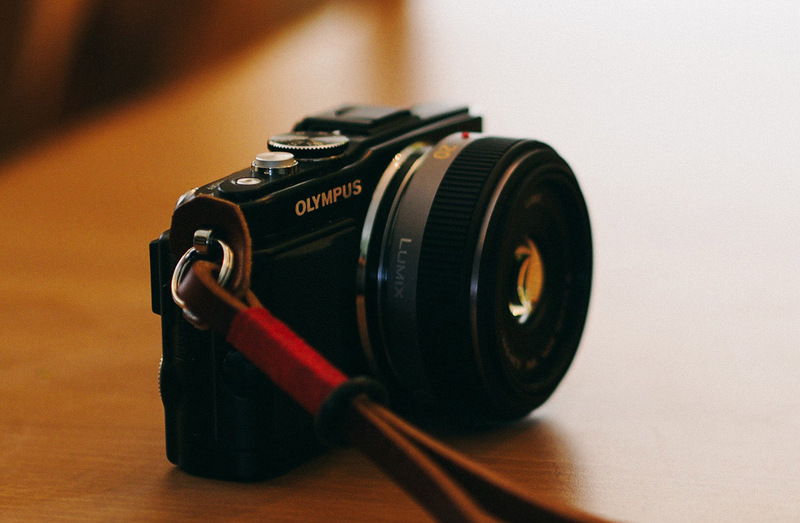 It’s been a year since the Olympus E-PL5 showed up at my door, and I want to give a report. The E-PL5 is the first nice camera I’ve ever owned. A year later, as I look back at how often I’ve used the camera, the pictures I’ve taken with it, and what my opinion is of the camera itself, the short answer is that I still use it regularly and often, and I’m still very happy with it. It was the fall of 2012 that I began researching mirrorless cameras to find a setup I could easily take with me anywhere I went, and which cost under $1,000 (for the body and a nice prime lens). I wanted the camera to have an Auto mode so I could just point and shoot if I needed to (I still am a beginning photographer, and don’t always know which manual adjustments to make to get the exposure right). I also wanted an Auto mode so I could hand the camera over to a family member to let them point and shoot with. But it also needed to have good manual modes so I could learn and grow into the manual controls as I learned more about the technical details of photography. The setup I went with was the then-new Olympus E-PL5 and the world-famous Panasonic 20mm f/1.7 pancake lens. Here is the article I wrote summarizing the 50+ hours of research I did on Mirrorless cameras and why the E-PL5 was my pick. Though some of the models mentioned in that article have been updated, all my reasoning and logic still stands. Here are my first impressions of the E-PL5 after having it for about 24 hours. And here is my official review of the camera, which I wrote after using the camera for about 6 months. As I mentioned in my official review, it was the iPhone that actually led me to getting a better camera. I was taking more and more and more pictures, but wasn’t doing much with them other than keeping them on my iPhone. A year later, I still couldn’t be happier about my decision to get a nice camera and I am still very happy with the camera I chose. I’ve had and used the E-PL5 through Thanksgiving 2012, Christmas, my son, Noah’s, first birthday, a few trips to Colorado, a trip to San Francisco, a camping trip, a trip to New York, the birth of my second son, Giovanni, and countless other weekend and weekday excursions. Something we did last year, and which we’ll do again this Christmas, was get a few of Apple’s iPhoto photo books. Photo books make great Christmas presents to parents and grandparents. Last year’s book was half photos from my iPhone covering January through October, and then half photos from my E-PL5 covering November and early December. This year the photo book will probably be 90-percent (or more) E-PL5 photos. I still consider the E-PL5 to be one of the best-kept secrets in the mirrorless camera landscape. For the body only, it’s very reasonably priced. And it’s fast, has great battery life, works with all the micro-four thirds lenses, is well built, has 4-axis in-body image stabilization, and has the same sensor found inside the critically acclaimed Olympus E-M5. It’s a beast and it won’t break the bank. On Twitter I was asked if a better camera in this space has come along. For the same price as the E-PL5, no, I don’t think so. Of course, since I got my E-PL5 a year ago, the mirrorless camera landscape has improved quite a bit. There’s now the Fuji x100s and X-E2, the Olympus E-P5, and the new Olympus E-M1 (to name a few). These are all really great, but they’re also all more expensive than the E-PL5. You can get the E-PL5 body and a very nice prime lens for about $800-$900 (depending on the lens you pick). The E-P5 is $900 for the body alone; the Fuji x100s is $1,300 and comes with a great lens (that cannot be swapped out), but it is not a beginner’s camera. In my opinion, someone looking to get a great camera and a great lens (where by “great lens” I mean “a prime lens” — not the kit zoom lens), can’t go wrong with the E-PL5. It’s compact, it’s easy enough to use that a beginner could pick it up and take decent shots with it (no comment about technique), and it has most of the same internal components (same sensor, similar IBIS) found in Olympus’ top-of-the line cameras, the E-M1 and the E-P5. What’s the best first lens? The Panasonic 20mm f/1.7. It’s one of the less expensive among the good prime lens selection; it’s a pancake lens, so it takes up very little space; it takes wonderful photographs; and the 20mm focal length (which is the 40mm equivalent on a full-frame camera) is in the sweet spot range for all manner of photos. So, if you don’t know which lens to get, get the Panasonic 20/1.7. Other great lenses include the Panasonic 25mm f/1.4, the Olympus 45mm f/1.8, and the Olympus 17mm f/1.8. I’ve rented the 25/1.4 and the 45/1.8 and they are both fantastic. What is your most-used lens? Just the one I have: the panasonic 20/1.7. It’s a fantastic lens for the price and size. My favorite lens of all the ones I have used is the Pany 25/1.4, but I like the size of the 20/1.7 pancake too much. And, since the 20mm and the 25mm are so close in focal length, it seems silly to keep them both. Have you been tempted by any other cameras? Yes; the E-P5. It has all that’s awesome about the E-PL5, but in a nicer body with more manual controls (without giving up automatic modes), and with an even better sensor and IBIS. However, the E-P5 is several hundred dollars more expensive, and I honestly don’t know if that increase in price is worth it for me at my current skill and usage levels. How do you travel with it? For outings, I use my DSPTCH strap. As for a case, I don’t have one yet because I haven’t yet found one I like (well, the Hard Graft camera bag looks gorgeous, but I’d rather buy a lens). What do you wish was different? What annoys you about the camera? The same thing that I’m tempted by with the E-P5: I wish the E-PL5 had better manual dials. You can set it in Aperture or Shutter priority modes, but you have to use the menu dial to quickly change the aperture / exposure / shutter settings. This can be a bit awkward or inaccurate. But… It doesn’t bother me so much to dislike the camera, and like I mentioned above, I’m not sure it’s worth the cost for me to buy a more expensive camera right now. I’ll probably keep the E-PL5 for a few more years and invest my money in lenses instead of upgrading my camera body. Has your frequency of use decreased since you first got the camera? Yes and no. I’m not forcing myself to take it out like I did when I first got it. But I still use it often around the house and at family events, trips, and other things. Since the first day of owning it I have always felt silly taking it out and using it. But, looking back, I wish I would get out with the camera more often. What about ergonomics? The camera feels great. It’s very light, it has incredible build quality, and it’s very easy to hold with one hand. The flip-out view screen makes it easy to take photos at all sorts of angles. 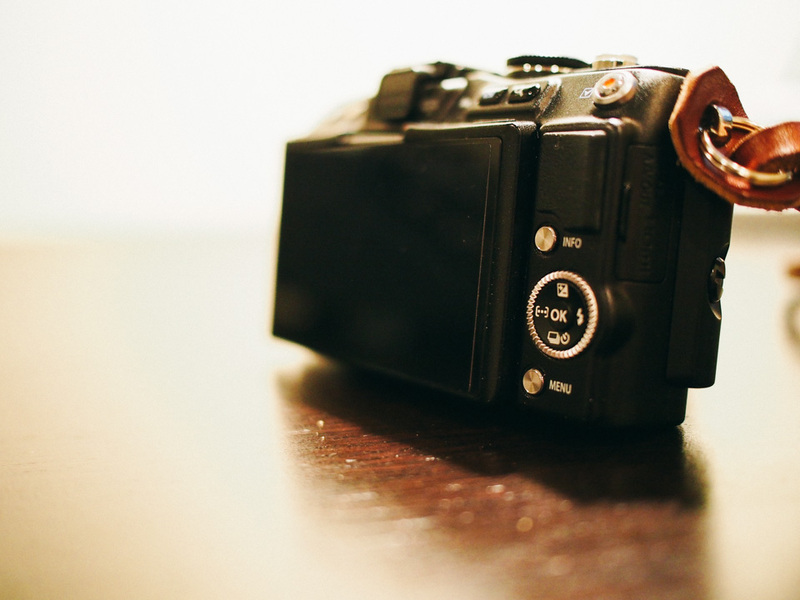 Auto-focus and other settings? The E-PL5 with my Panasonic 20mm lens does hunt a fair bit in super low light, but in my understanding it’s no better or worse than most other cameras like this. When I was renting the Olympus 45/1.8 lens, the auto-focus was a bit quicker, but not significantly so. I mostly shoot in Aperture Priority mode, but when I’m having trouble I’ll switch to Auto and the camera does a great job at deciding what sorts of settings I want. To what degree does the camera’s physical size impact when/where you use it. How often have you wished you had it but didn’t? The size of the camera is fantastic. It’s small enough to fit in my winter coat pocket or my small laptop bag without bothering me. It’s also light enough that when I’m wearing it with the shoulder strap I can have it on for hours and never consider its weight. There are often times I wish I had taken it somewhere but didn’t. This, however, has everything to do with me not being in the discipline of taking the camera and using it. It has almost nothing to do with the size of the camera. What is the most important thing you’ve learned about photography since getting this camera? That I regret 100% of the shots I don’t take. Too cliche? Okay, fine. But it’s true. Like I said above regarding frequency of use, I want to get out with the camera more often. What is your usage of the E-PL5 compared to your iPhone camera? I certainly use my iPhone more often than the E-PL5 just because of the fact that my iPhone is with me all the time. But I don’t often take “great photos” with my iPhone. Usually they are cool snapshots that I will then share on Instagram, email to friends and family, or put into Day One. And that’s exactly why I got the E-PL5. I didn’t want to all-out replace my iPhone, but I wanted something I could use to take much, much better photos when it mattered most. You can see more of the photos I’ve taken on my Flickr page. The good news is, there are a lot of really great options. The bad news is, there are a lot of really great options. Good luck!